Jackson Bay, off the Jackson Bay Wharf. Bpats and yachts in the bay. 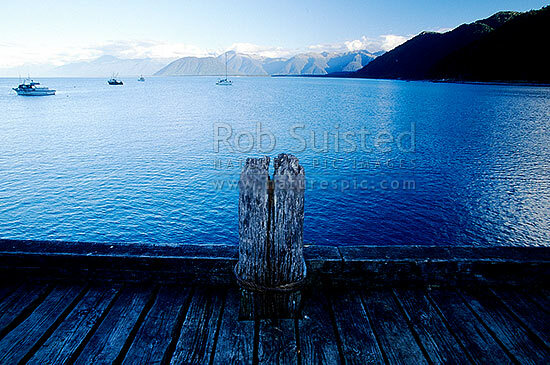 Haast Range beyond., South Westland, Westland District, West Coast Region, New Zealand (NZ), stock photo.